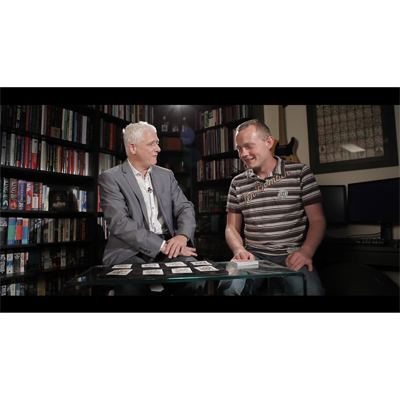 The Torn and Restored Project is a revolutionary collection of Torn and Restored card effects. 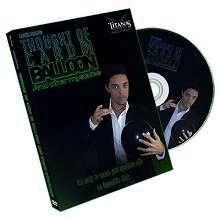 It is a two-DVD set comprising "Fire in the Hole" and "Four". The torn and restored plot has fascinated magicians for years, with countless methods and handlings with varying degrees of visual power, difficulty and practicality. One of the highest requested effects I have during shows are to rip a card up and to put it back together. But here's a fact: Most Torn and Restored card effects look exactly the same. Merely repeating what another magician once did will not create a unique, memorable experience for your audience. So how are you going to make your routine stand out from the rest? Welcome to The T&R Project, a mind-blowing collection of 5 revolutionary torn and restored effects. There has never been anything that even comes close to looking like what is presented inside the box you now hold. The is how the revolution began. 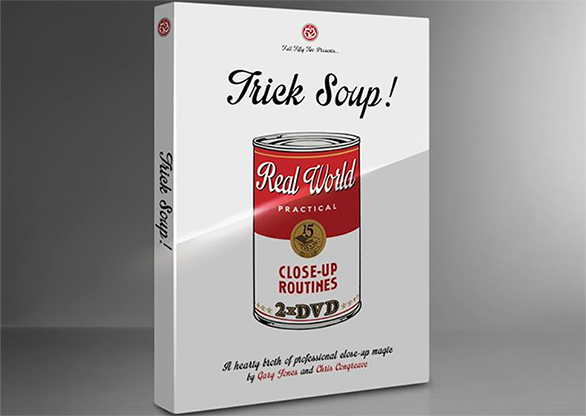 This legendary effect created waves amidst the magic community years ago, and has never been released...until now. A card is freely selected and is signed twice on the back by a spectator on the top and on the bottom. Details are then written on the face of the card, making the car5d significantly unique. Any signature is selected and cleanly sliced out with a pen-knife. A "time bomb" is introduced and placed over the hole. The bomb is lit and burst into flames, enveloping the hole in a swirl of fire, visually sealing the hole -- blasting the card back in time -- so it is now fully restored. Angel - The angel at the back of the signed bicycle card is colored a solid black with permanent ink. With a gentle wave the ink on the angel visually fades away, morphing back into the angel. Angel Redux - The angel at the back of a signed, freely selected bicycle card is cleanly sliced out with a pen-knife, leaving a circular hole in the selection. With a gentle wave, the angle visually and gradually regenerates in full view, making the card whole once again. Hotspot - A signed card is folded in half and has its middle ripped out. First the ripped out piece teleports from the magician's pocket back to the destroyed card, fully restored it. Then the piece is ripped out again and placed in the magician's mouth. He spits it out at the torn area, visually restoring the card with absolutely no cover. Making Ends Meet - The first "mismatch" style piece by piece ever. A signed card is cleanly ripped up, and mismatched at every phase of restoration, correcting itself as it goes along...until the end. There's even a phase where a wrongly restored piece steadily slides by its fibers over the correct side. For the finale, the last piece is that the spectator has been holding onto the entire time suddenly changes in color, permanently mismatching it from the rest of the card. A way to restore Fire in the Hole without fire, and without any cover. A way to have the signed cut-out piece ripped into shreds by the spectator, then in an instant, having the pieces restore, and have that piece restore back on the signed card at the same time! A way to perform Making Ends Meet with the card fully restoring...but that's not all. The last piece restores...MISMATCHED. A way in Angel to have the ink visually morph into the card's value rather than just fade away. An easy, natural, and INVISIBLE way to conceal folded cards in your hands as an alternative to finger palming. This DVD set takes this plot to a much higher level then ever seen before. All the effects have MULTI-ANGLED studio performances and tutorials and explain everything in painstaking detail. All routines leave the spectator-signed card examinable after the effect, and the cards can be given out as souvenirs. These routines are direct, trenchant and sensational. There is something for everybody here, and every effect is as powerful as the other in different situations.